Watercress is a crop that grows all year round, protected from winter frosts and excess summer heat by the flowing spring water that leaves the ground at a constant temperature, but with a slower growth in winter. It is relatively easy to grow but its freshness is limited to just a few days. Consequently during the harvesting period it is gathered on a daily basis. Once considered merely a cheap food it has been recognised in recent years for its health values. Indeed, at one time the military authorities recommended it as a preventative against scurvy due to the rich vitamin C content. 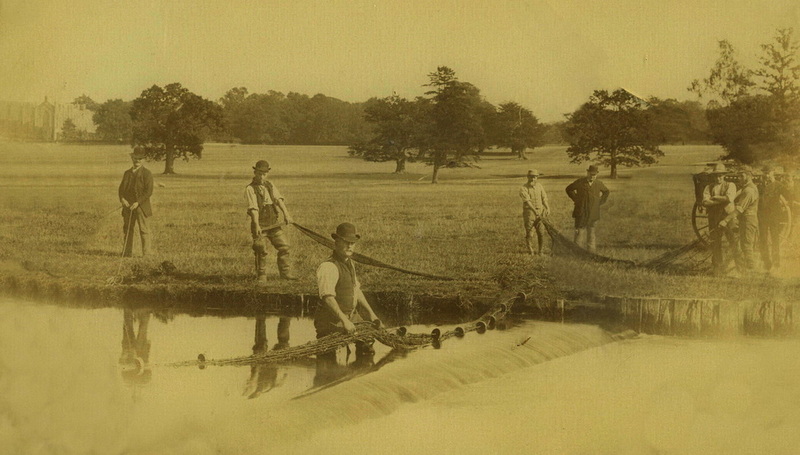 From the 1800s onwards, Hertfordshire gained a reputation for growing watercress, chiefly because of the prolific natural springs and the abundance of clear water filtered through gravel which the crop demands which could be found in many places in the county. Croxley Green and the surrounding area provided just these conditions. 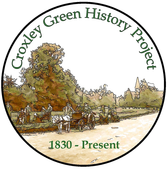 In 1821 Henry Bellenden Ker FRS, of Rickmansworth, wrote an article for the London Horticultural Society, in which he stated that watercress was grown in this neighbourhood by a Mr. William Bradbery, for the purpose of supplying the London markets. Mr. Bradbery first began to cultivate watercress in 1808, at Northfleet, Spring Head, near Gravesend, having introduced the plant to England at this time. 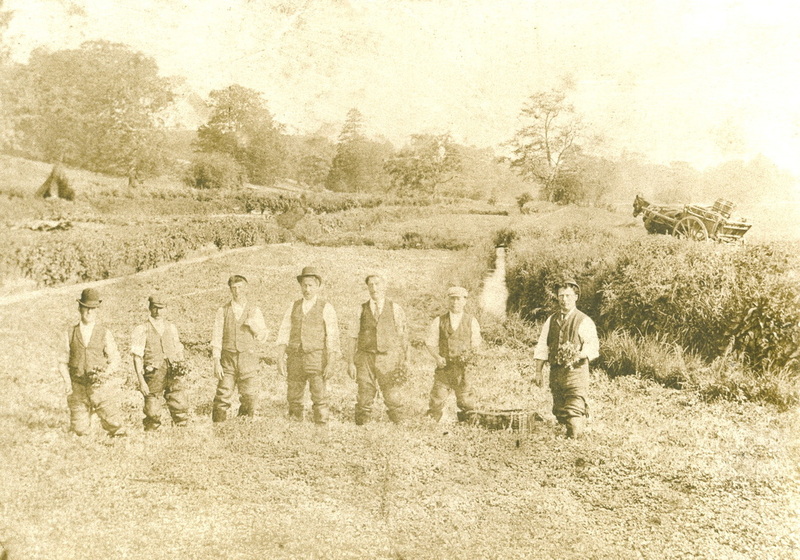 In 1820 William Bradbery moved to West Hyde Rickmansworth and developed watercress beds over five acres. West Hyde proved to be an ideal place to grow the cress, as water bubbled to the surface in a line of springs with the River Colne close by. 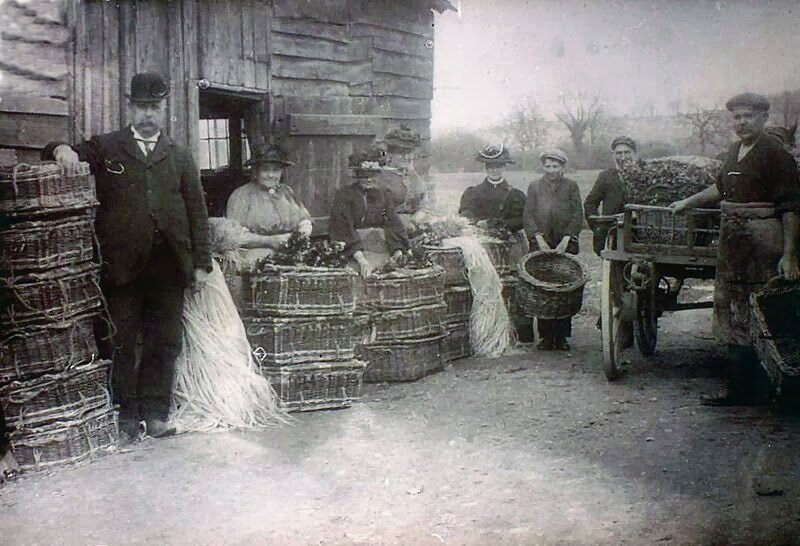 As his business grew, Bradbery was sending his hampers, each holding eight dozen bunches, to the London Markets every day throughout the year (except Sundays). 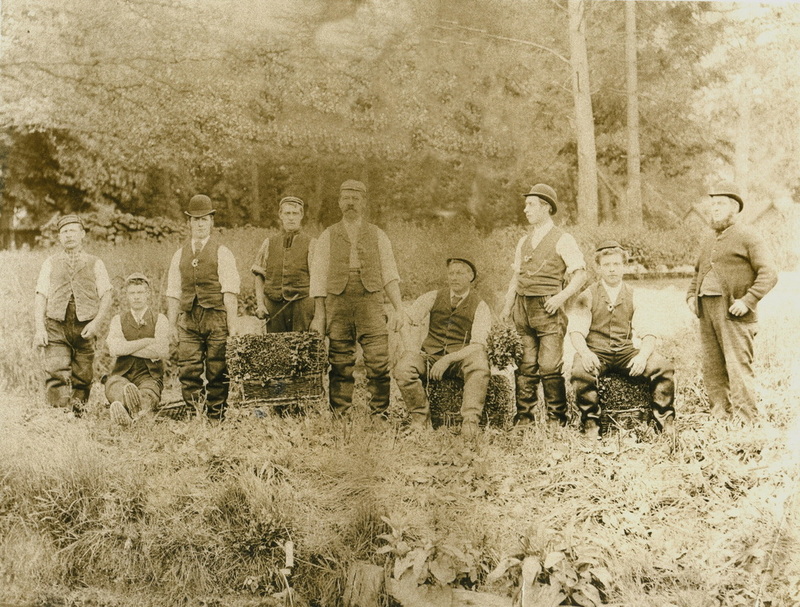 By the mid-19th century, Bradbery was sending watercress to many cities throughout the country. 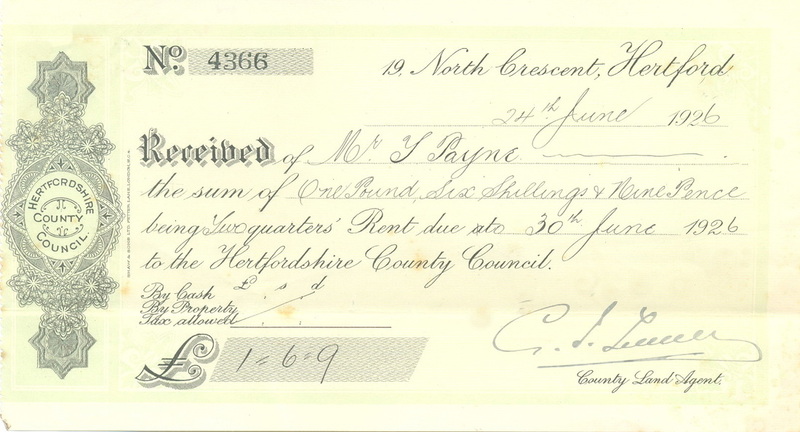 The 1841 census return describes him as a "Market Gardener", employing 22 workers at West Hyde and from the surrounding area. He even sent cress to the Great Exhibition of 1851, at the Crystal Palace. With the success of these beds at West Hyde it is quite possible that as similar conditions existed in the Croxley Green area, three local families - the Dorrofields, Paynes and Sansoms - were encouraged to make a living from watercress too. Croxley Green is bounded by three rivers. 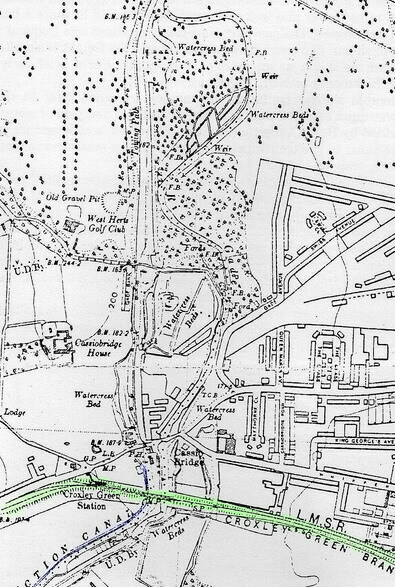 the Gade, the Chess and the Colne as well as the canal. All three families established their commercial businesses close to the Gade and the Chess. 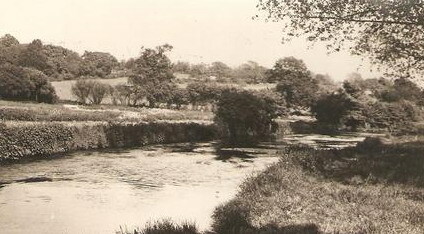 The Dorrofield family were close by the River Chess. 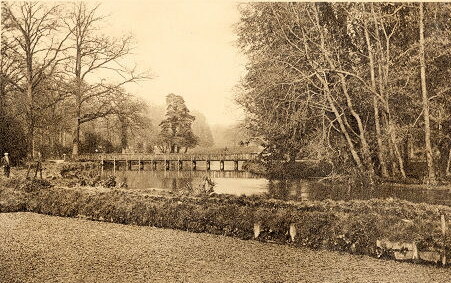 The Payne family were near the River Gade by Cassiobury Park and Cassio Bridge. The Sansom family initially also had beds on the River Gade at Cassio Bridge but moved their business to Croxley Hall Farm. 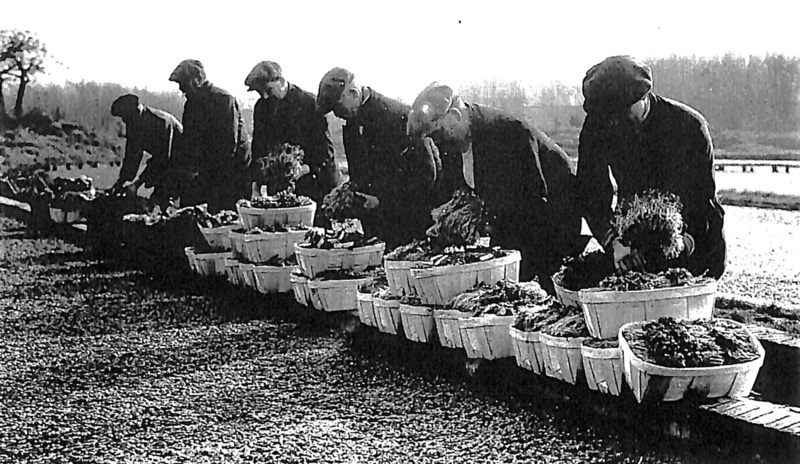 Besides supplying local markets, with the arrival of the railway they were able to send the round baskets and hampers packed with bunches of cress to Covent Garden and other London markets on the local ‘Watercress Line’. This early train left from Rickmansworth LMS station (then in Church Street). Watercress from this area was also destined for many towns all over England. 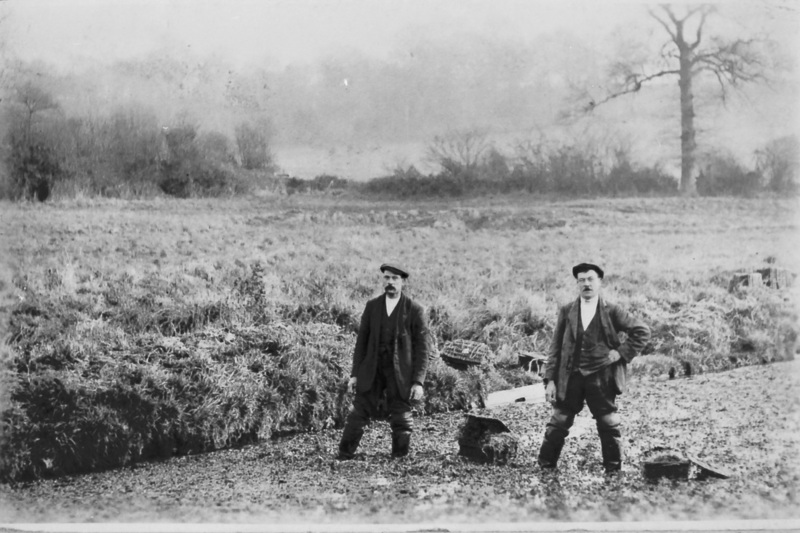 The Dorrofield family watercress beds were located near the Scotsbridge and Loudwater section of the River Chess. Having moved to the area in the early 1800's the family lived in a bungalow on the higher banks of the River Chess. 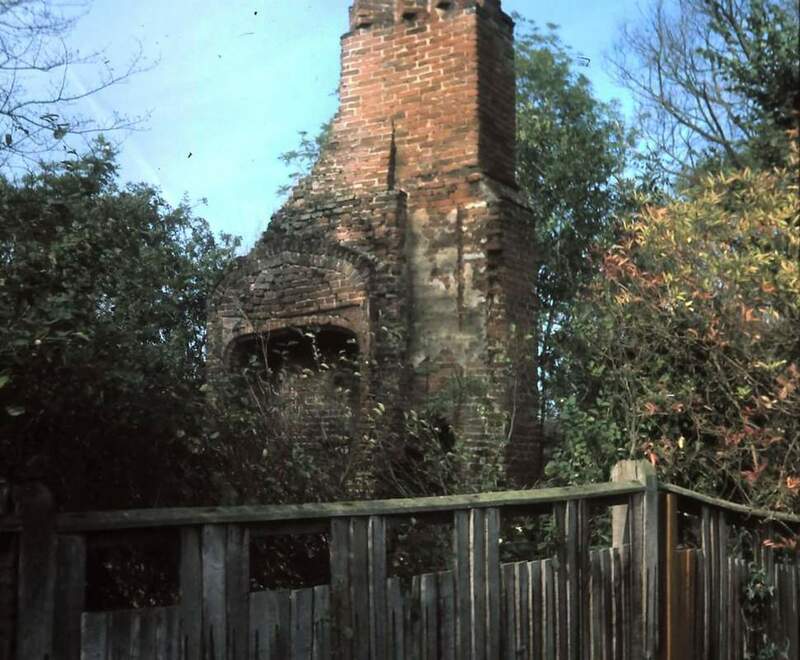 The family built their home abutting a chimney stack, the remains of a cottage known as the Pest House, which had once served as a dwelling in which to isolate patients with contagious diseases such as smallpox. As hospitals, nursing facilities and hygiene improved, the house was abandoned and fell into ruins. This was the family’s home for many years and became known as Fishery Cottage. 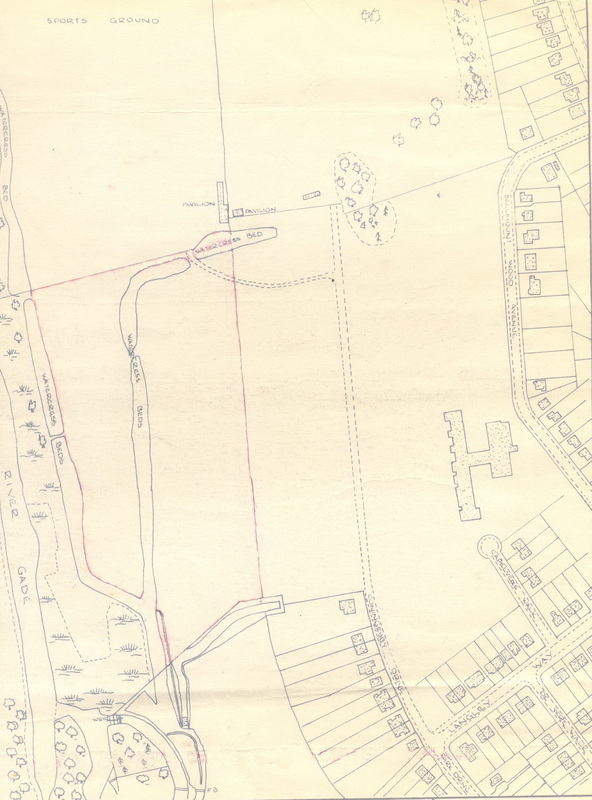 However, they had numerous children and the accommodation became inadequate and consequently many of the older children lived in a house acquired for them in New Road. 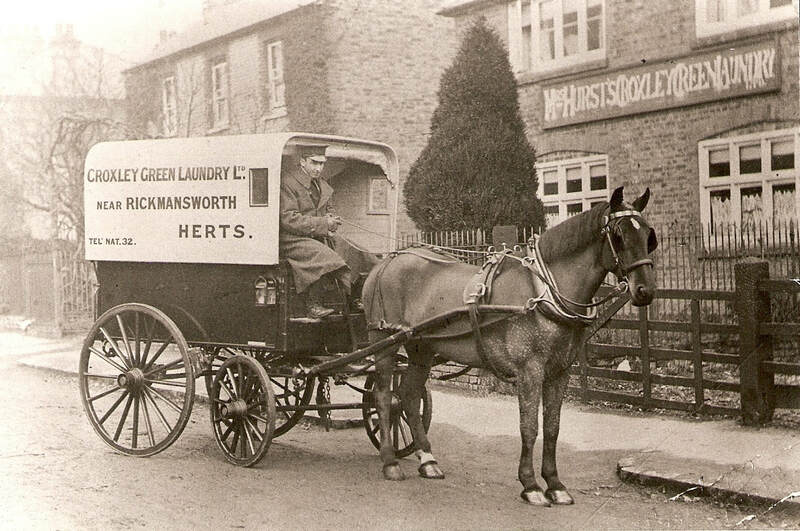 A very popular laundry business was also known to have been run by this family in New Road. Other family members lived in Church Street Rickmansworth (1881 census). 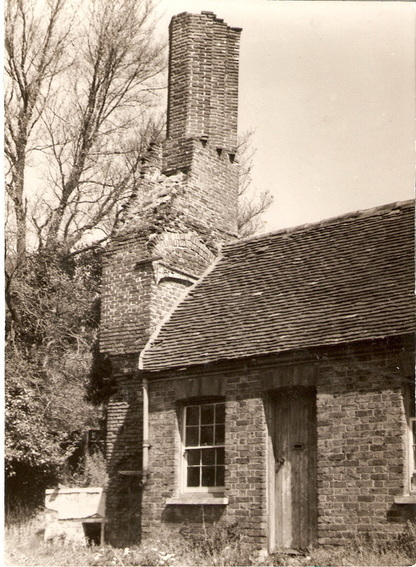 In the mid 1920’s stables adjoining Fishery Cottage burnt down and during the Second World War a bomb falling close by rendered the cottage itself unsafe and it was decided to demolish the building. 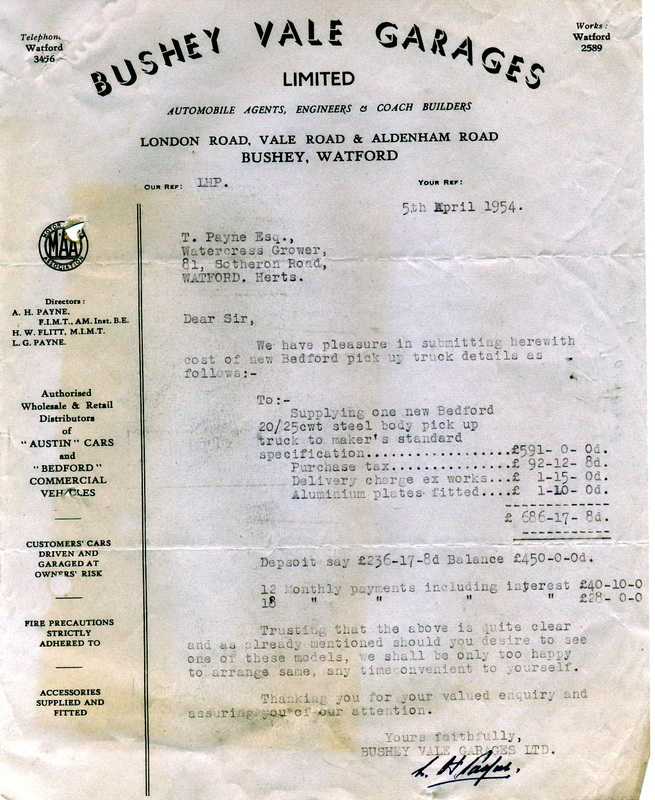 This business no longer exists - the date when it ceased is not known but it is possible that when many railway branch lines closed in the 1960s many family businesses were affected. Lorry transport costs possibly did not justify its daily transportation. 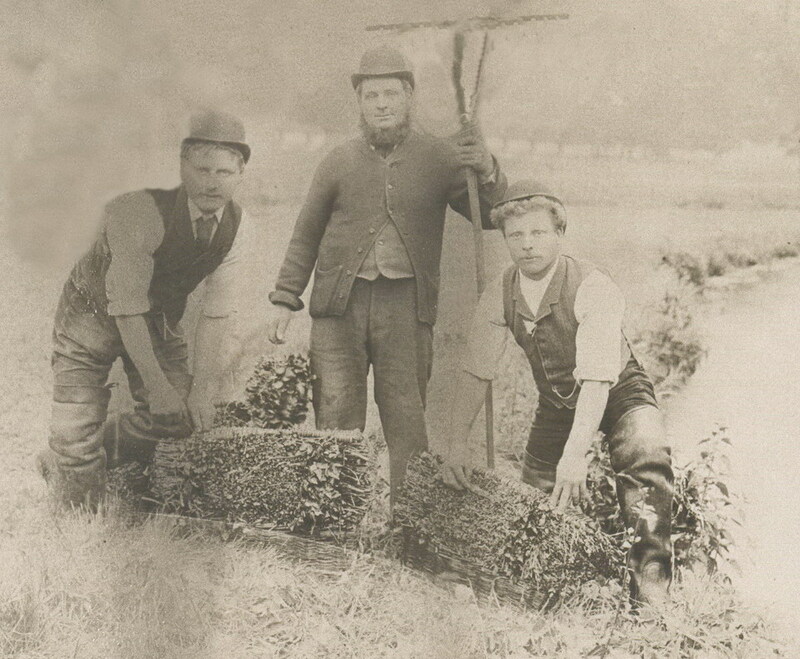 At this time the watercress baskets/hampers would have been transported by horse and cart and then to local railway services as they were built. 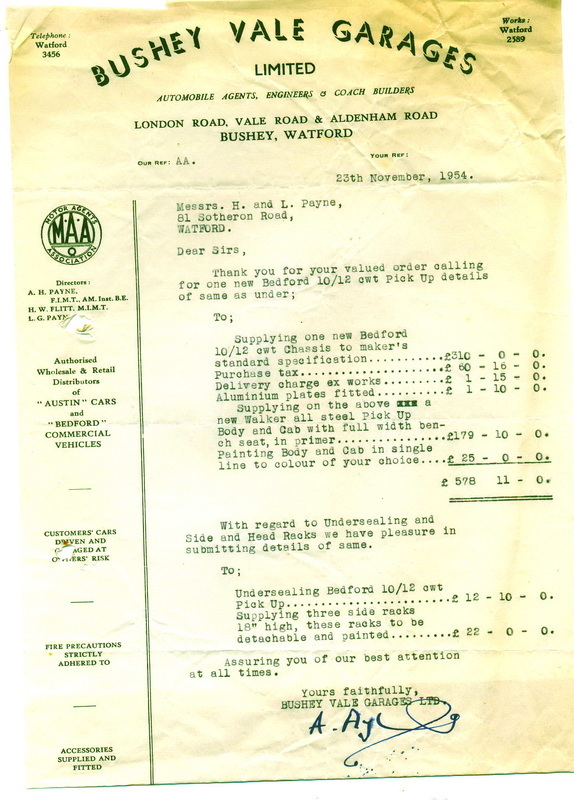 When motor transport became available and affordable, many vehicles were purchased from Bushey Vale Garage. 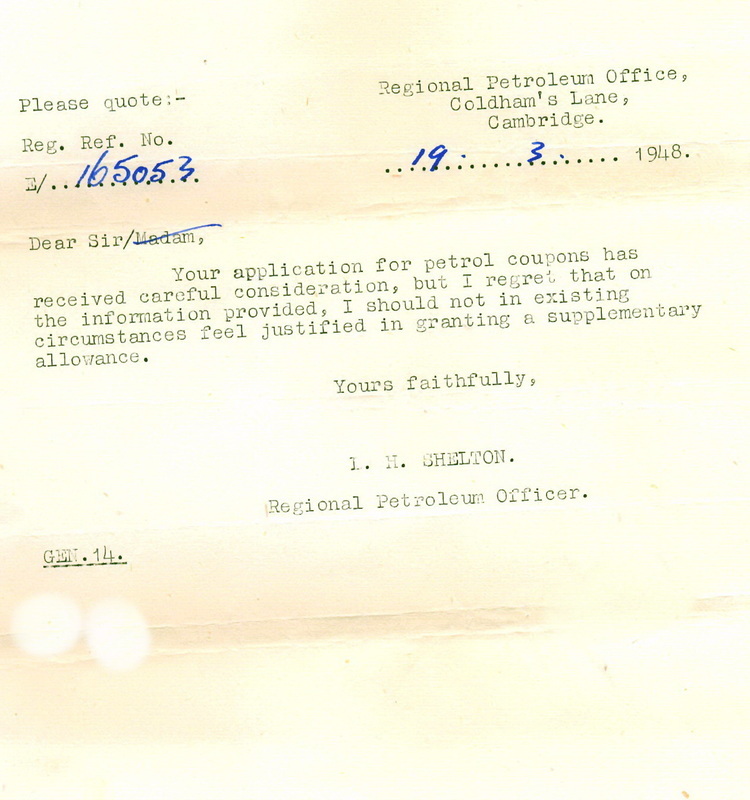 The introduction of petrol rationing during World War Two caused some difficulties to the business. The business joined the National Farmers' Union Watercress Growers' Association. 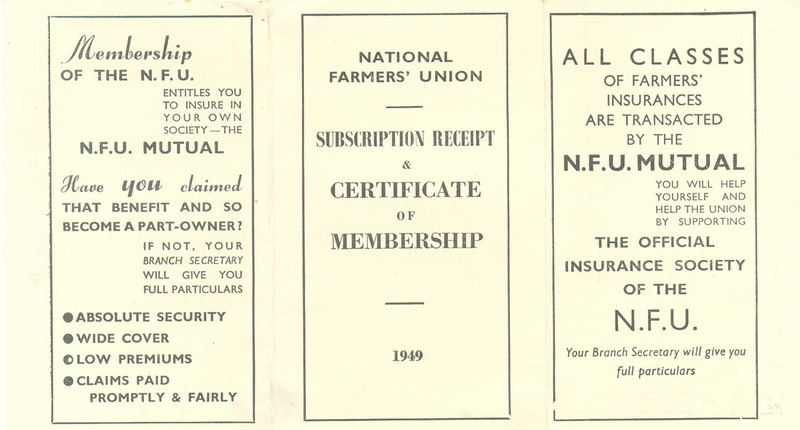 The National Farmers’ Union had been formed following a meeting held on 10th December 1908, in an ante-room at the Smithfield Show (London meat market) to discuss whether a national organisation should be created to represent the interests of farmers. As the years followed the N.F.U. became established and successful and many other related food providers became part of this union. The following photographs/scans were given by Carole Maddison nee Payne and shows family members at work in Cassiobury Park. 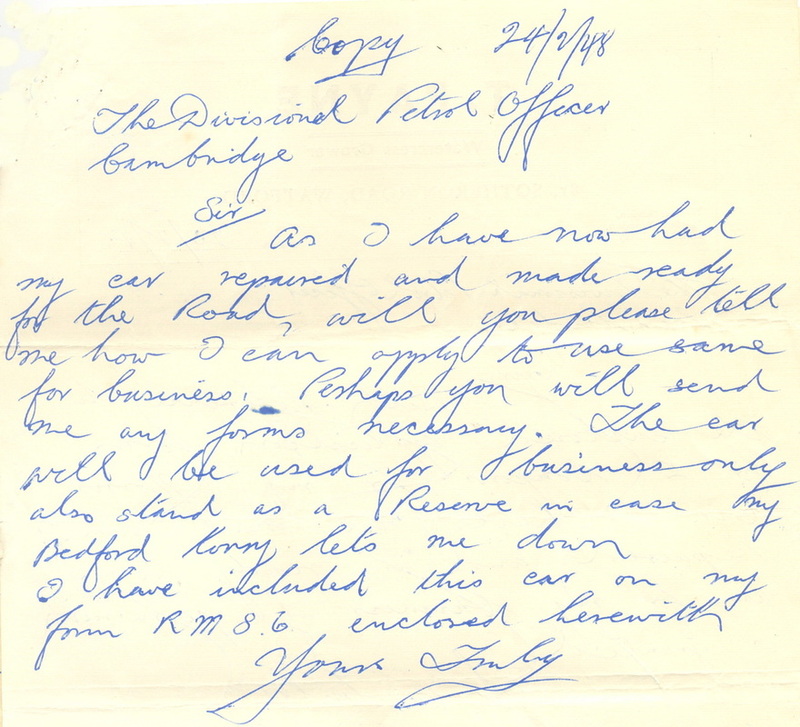 The business was able to purchase improved motor transport but letters show how post WW2 petrol rationing must have caused difficulties with meeting targets for delivering the watercress, to keep its freshness. 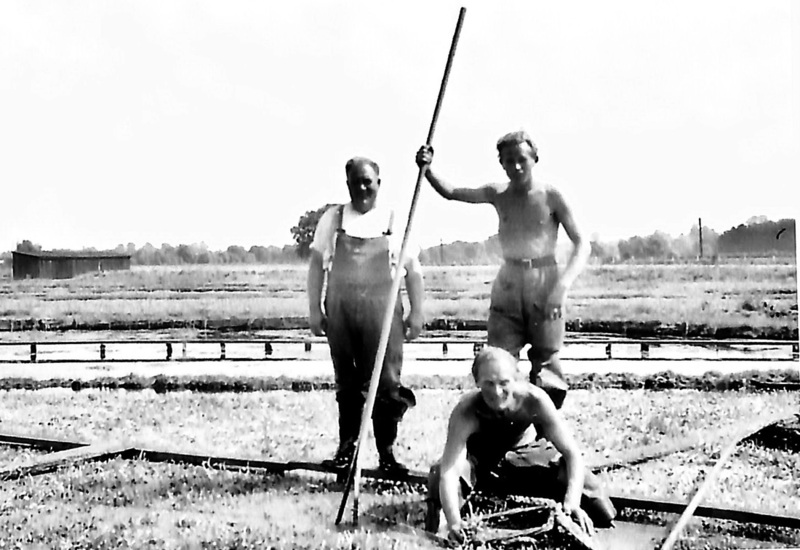 As the Payne’s business was handed on from father to son, watercress was still being harvested until the 1960s. William Sansom originally came from Berkshire/ Oxfordshire with a friend called Williams to work on the railway at Watford Junction in the early part of the 1800s. 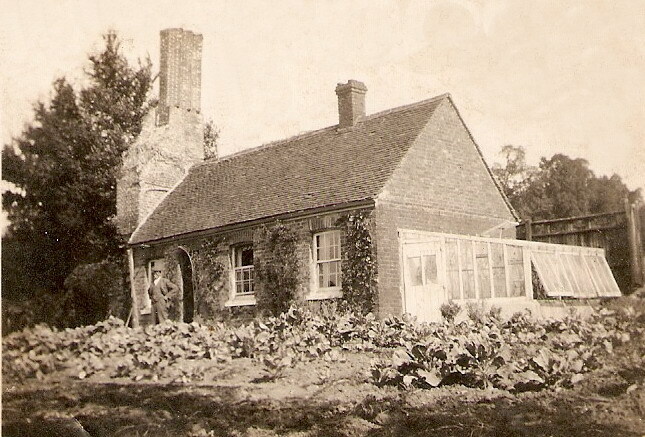 After a short while William Sansom became aware the area was ideal for growing watercress and with another co-worker named Durrant, probably about 1837, he moved to Boxmoor to start a business there. 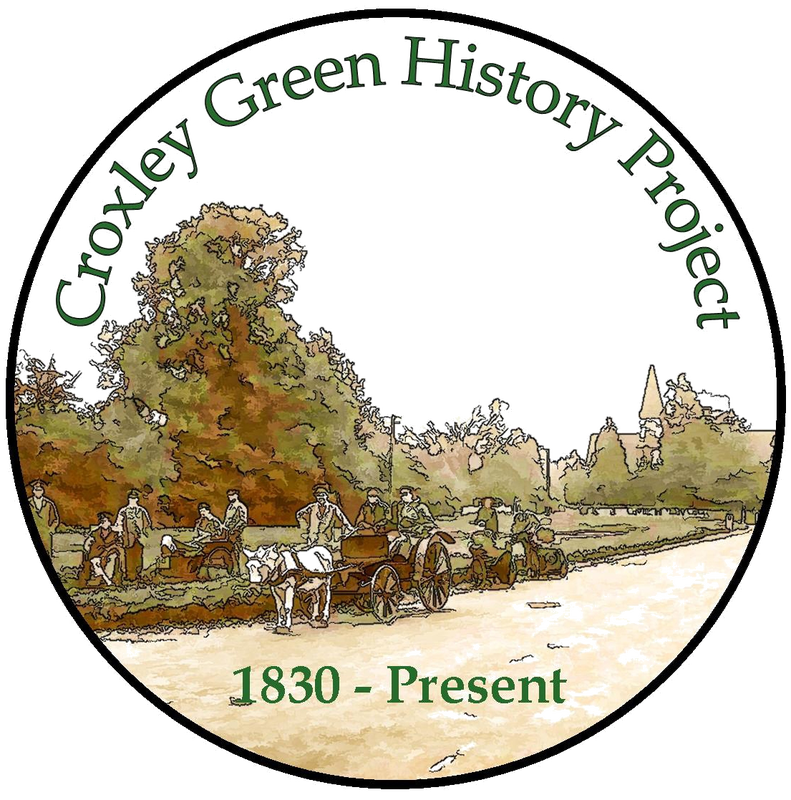 The Sansom family eventually moved closer to Watford and Croxley, growing watercress in beds close to the River Gade near Cassiobury Park. 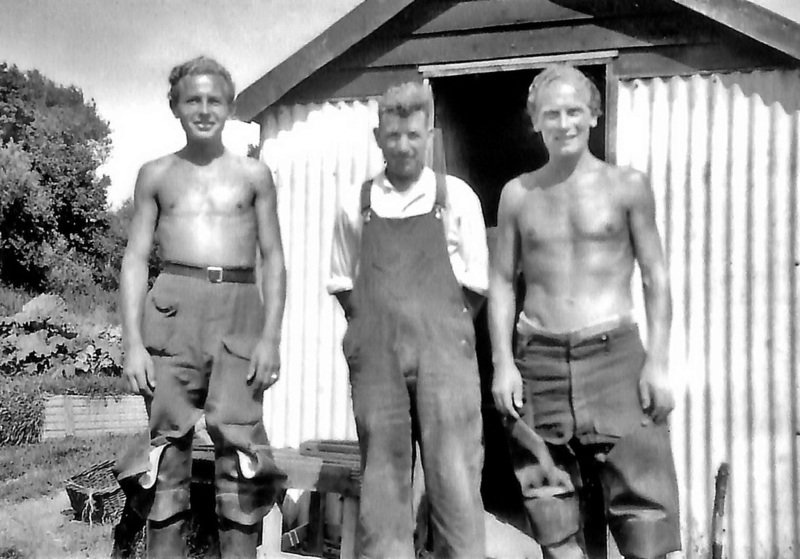 They lived for many years in one of a pair of cottages at the junction at the bottom of Baldwins Lane and the Watford Road. 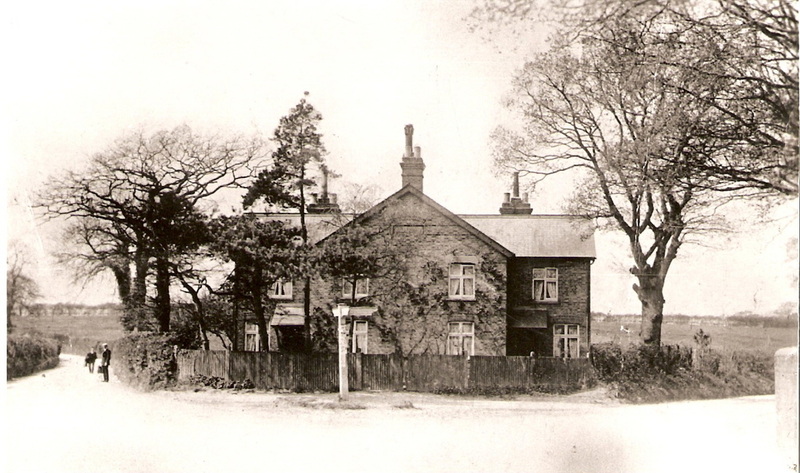 By 1880 the family had moved into Croxley Hall Farm near Common Moor, the canal and the River Gade. At one time the farm was managed with dairy cattle and arable farming and the springs provided a source for watercress cultivation. 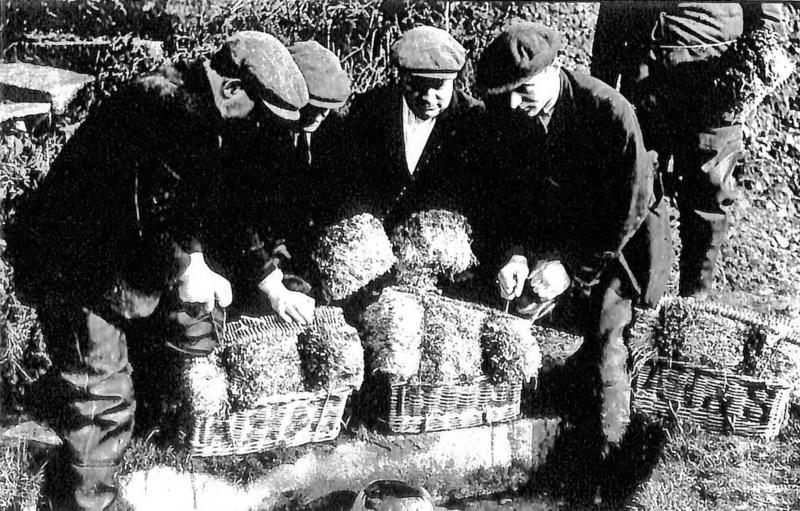 By 1924 the watercress business was the main activity and the growing of cress was now on a large scale and to a high standard. Special orders were dispatched to London for use in the dining cars on the royal train when the royal family travelled to Balmoral. Markets were heavily into the sales of this relatively cheap product. This continued into the 1930’s, expanding so much that at least eleven family members were employed. The railway existing at that time cooperated with its dispatch as watercress, being very perishable, depended on reliable transport. Leaving from Rickmansworth L.M.S. Station by what became known as "The Watercress Express" to it went to destinations all over England and also up to Scotland. In 1935 as part of The Lord Mayor’s Procession in London a ‘Pageant of Agriculture and Country Life’ was depicted, with the business providing a decorated lorry and trailer. 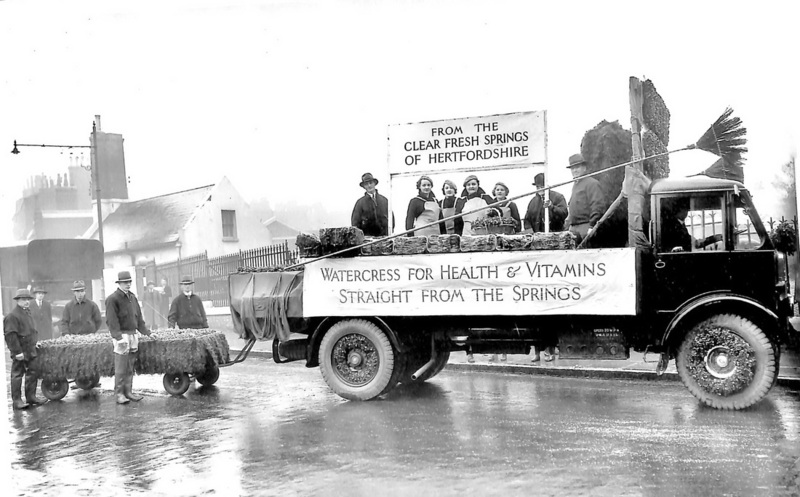 Girls dressed in green sat on a float decorated with watercress and threw bunches of cress into the crowds. 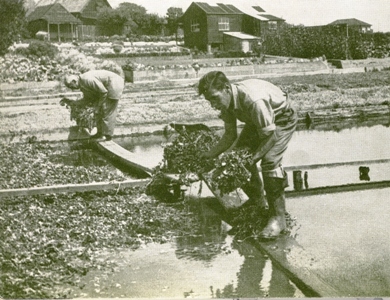 Two ‘watercress beds’ were laid out on the trailer and an Artesian well activated by a hand pump followed behind. One particular family member, Charles H Sansom, was at one time Chairman of the National Watercress Growers Association, a subsidiary of the National Farmers Union. 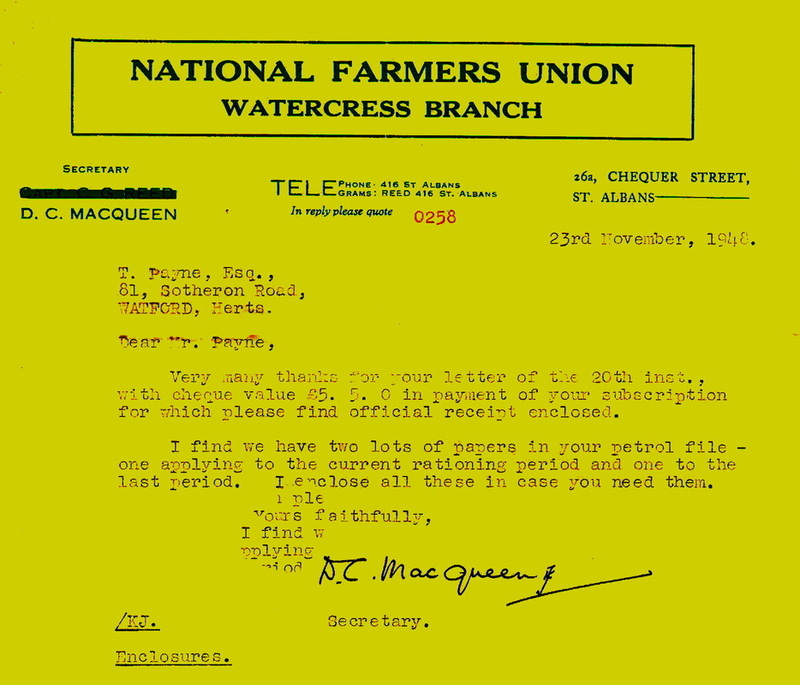 During the Second World War watercress was considered a valuable food when so many other commodities were rationed. A bunch of watercress, freshly picked and tied with string and purchased for a few pennies, when added to a sandwich was considered a real treat. 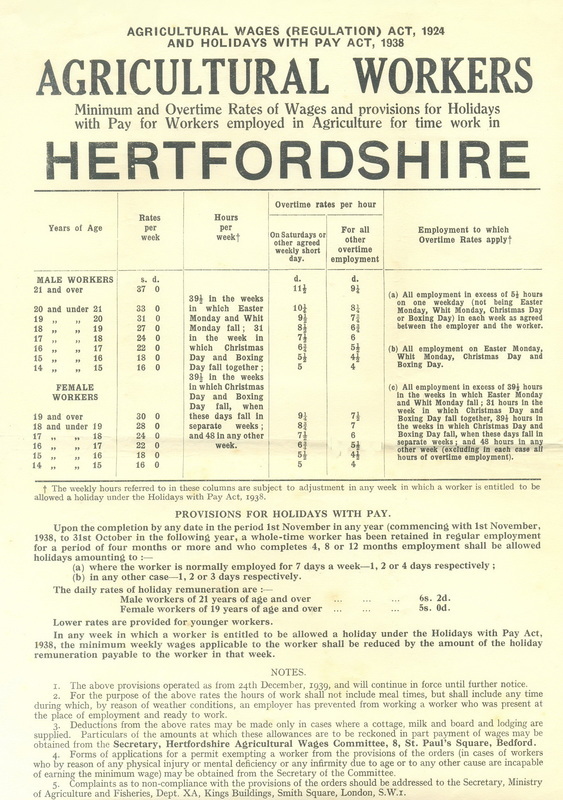 For a period too, during the war, two German prisoners interned locally were assigned to work in the cultivation process. 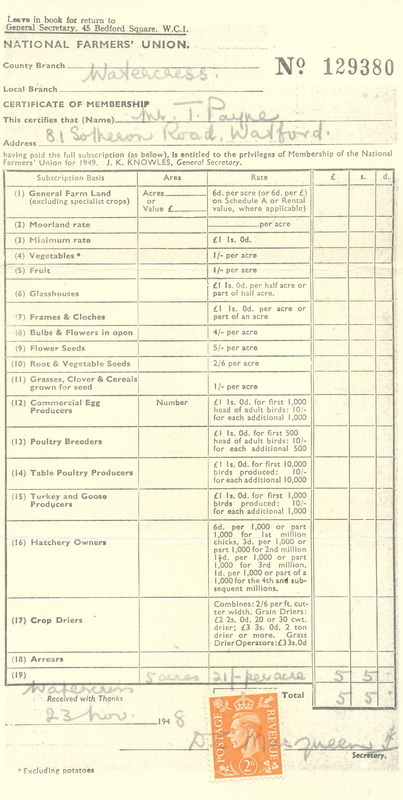 Sadly for the industry, public tastes changed after the war and even though watercress was still required for a period after that, new foods and foreign produce proved strong competition and watercress cultivation in this area declined. The railway service deteriorated and the Church Street line closed, London markets became overstocked and prices fell. Beds were lost to gravel digging and building developments. A local greengrocer still provided watercress to his customers from the farm, albeit in limited quantities, up to the late 1990's.